When Valentine’s Day approaches, we’re all hit with a barrage of commercials for restaurants, flowers, lingerie, and even edible bouquets. But if you’re short on cash, the idea of a pricey dinner and a movie night may not have you feeling the love. Let’s face it: The usual date for Valentine’s Day isn’t exactly groundbreaking. As such, all of the restaurants in town are likely to be crowded – and good luck finding a good seat at the movie theater. So, what if, instead of spending your special day waiting for a table and rushing to get to the cineplex, you did something a little offbeat? You can fight fewer crowds, save yourself some coin, and impress your Valentine with something refreshingly different. When planning a date, going against the grain and putting a little extra thought into something out of the ordinary can win you some major points in the romance department. Even though your surprise date might not seem as inherently romantic as a candlelight dinner, it is truly what you make of it. When you’re short on time, patience, and money, give the following Valentine’s Day date ideas a shot. Getting up close, hot, and sweaty? Sounds like a Valentine’s Day movie to me. By signing up with your partner for a couples’ yoga class, you can sneak in a workout while getting some face-to-face time with your date. This type of yoga focuses on poses that can be done with a partner, such as back-to-back bends, assisted stretches, and face-to-face breathing exercises. By working out together, you strengthen your bond while stretching away the stress of the week. Finish the date off by heading to the juice bar for a smoothie, or indulging in healthy salads for two. Expect to spend around $35 per person, or approximately $50 to $60 per couple. Getting your hands dirty for a good cause might not be the first thing that pops into your mind when you think “romance,” but there’s something to be said for a date that gives you a glimpse of your partner’s charitable side. Consider volunteering at an animal rescue, where you might be able to play with pups or help a few lovebirds pick out their perfect pet. Or, sign up to visit the elderly at a care center, where you can be a completely different kind of Valentine for someone in need. If you’re not sure where to start, try searching on AllForGood, which is essentially a volunteer opportunity search engine that allows you to sort by date and type of volunteerism you’d like to participate in. 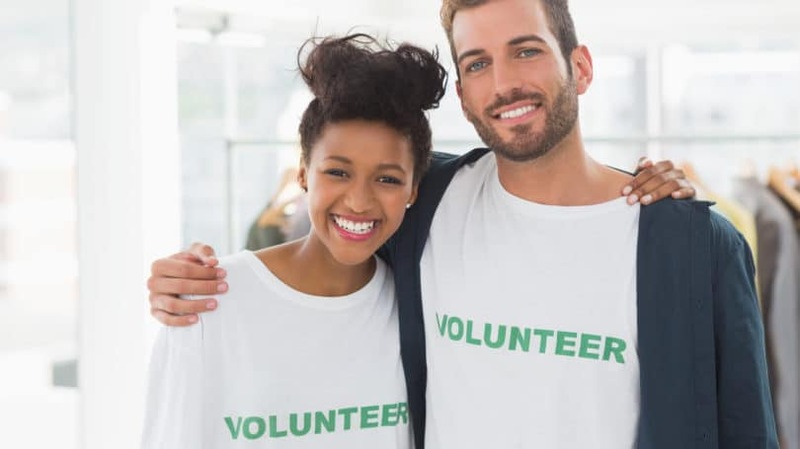 Volunteering is an ideal date idea for when you’re strapped for cash, since it’s totally free. Cooking together is very romantic, so why does everyone eat out on Valentine’s Day? For about $50 to $75 per couple, you and your date can learn from a master chef while sampling gourmet appetizers, entrées, and desserts. And cooking classes don’t always have to be in a restaurant – retailers such as William-Sonoma and Whole Foods regularly hold them. Since what’s available depends largely on your location, perform a search for cooking classes in your area and see what you come up with. If you’re really strapped for cash this year, a great alternative is to hold your own cooking class. 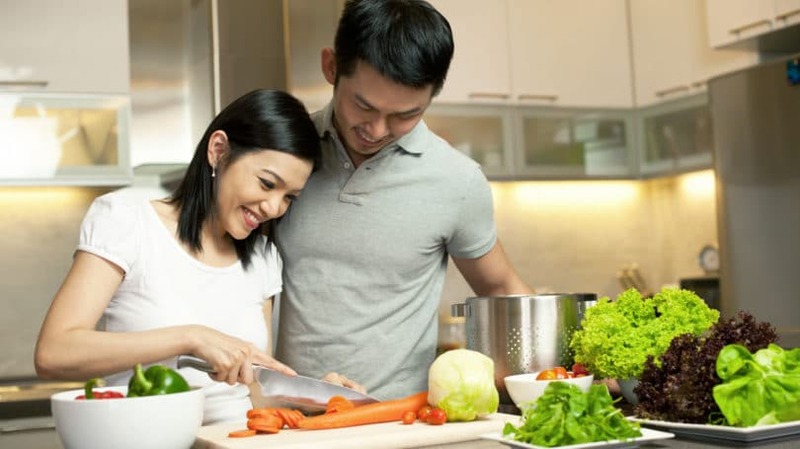 Choose a few recipes you and your partner have always wanted to try, put on a sweet soundtrack, pour the wine, and go to work in your own kitchen. Whether or not it’s restaurant-quality food isn’t an issue – the time spent together is the real purpose for a romantic evening in. Why settle on one restaurant when you can choose three or four? A progressive dinner might be one of the pricier options for a Valentine’s Day date, but it’s only as expensive as your palate wants it to be. It works like this: You have different courses of your meal at different restaurants. That means you start with appetizers at one place, grab salads at another, eat your entrée at a different restaurant, and end the night getting dessert in yet another establishment. It’s a fun way to try a few different types of cuisine or check out new restaurants all at once – which works well if you’re usually pretty short on time or tend to eat at the same restaurants again and again. You can choose which types of cuisine make the grade for each. Just remember that restaurants are crowded on Valentine’s Day, so you need to make reservations or specifically choose places that might be less crowded – consider a taco truck as opposed to a swanky French restaurant. 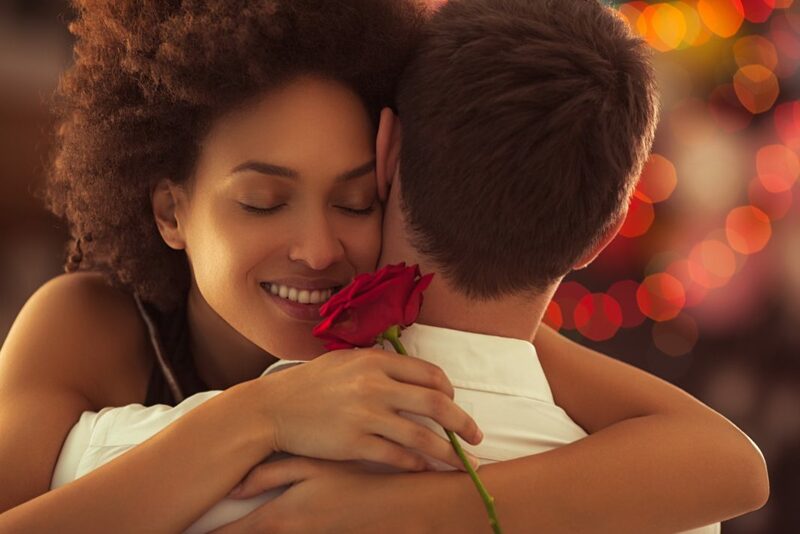 Choose a day date instead of a more traditional night out to avoid the pricey meals and throngs of people typically associated with Valentine’s Day. By going out for lunch and catching a matinée, you can take advantage of lower prices and fewer people. Then, reserve the night for relaxing at home with your Valentine. Visit a Restaurant for Lunch. There are usually fewer options on the lunch menu, but the meal is likely to be cheaper. My favorite restaurant charges by the plate – at night, it’s $21, but for lunch, the exact same food is only $14. Go for a Hike. If it’s still wintry where you live, try a cold weather activity such as skating, skiing, or even tobogganing. Otherwise, take a walk through the park or a fun hike in a beautiful setting. Visit a Local Attraction. Head to a museum, zoo, or aquarium. Unlike restaurants, these destinations don’t increase their prices just because it’s Valentine’s Day. See a Matinée. Movies are typically much cheaper before 5pm. Go to a Bakery. Grab coffee and pastries from your favorite bakery. Day dates are ideal, especially if this is your first Valentine’s Day with your partner. By choosing to do something when the sun is still shining, the pressure to have a romantic experience is vastly diminished. The bookstore might not sound like the most romantic place to spend Valentine’s Day, but consider this: You and your date show up and order some coffee, or bring some if there’s none on offer. Then, take some time and peruse the shelves. You could even pick out a book for each other – or maybe head over to the “Relationships” section and check out books on love (or even something a little racier). If your partner is a total bookworm, the bookstore can be a low-key but still super-romantic way to spend a night out. Afterward, you can head home and crank up the fire or cuddle with a blanket as you read over the newest additions to your personal library. You can even get steamy reading a racy romance or a book on love aloud to each other. A pricey night out means you’re forking over a premium for a full dinner. However, you can have your cake and eat it too – literally – if you arrange to go out for dessert only. While you can make reservations at a restaurant and only order dessert, you may want to visit a restaurant that only serves sweets. Either way, it’s a budget-conscious option that can still feel indulgent. A place known for crepes, for example, would be a great place to spend a night out. Or, head to a local bakery. When you skip dinner and go straight for the good stuff, you leave more room for cakes, ice cream, and brownies to treat your date and yourself. Finish the night off with a glass of wine or port at home, and you’ve pulled off a nearly perfect Valentine’s Day. Half the country is still encased in ice during February, which means the majority of Valentine’s Day activities happen inside. That’s why I love the idea of the planetarium. It may not immediately seem like the most romantic place, so it’s probably going to be near-empty the evening of February 14th. Even so, the idea of spending a night under the stars can be incredibly romantic. Take a tour of the planetarium and learn more about the planets and universe, then finish the night in the auditorium. My local planetarium has an IMAX movie theater, as well, which means potentially catching an offbeat movie too. Check out your local planetarium’s website to see what exhibits are currently running and the hours it’s open. You might find that a peek at the galaxy, learning about the moon, and catching a light show makes for a romantic night under the stars – no matter the weather. If the idea of planning something for Valentine’s Day has you stuck for ideas and emptying out your wallet, it’s time to think beyond dinner, movies, and flowers. Classic date ideas definitely make for an enjoyable evening, but choosing a more original way to celebrate the holiday can make it feel truly special for your partner. 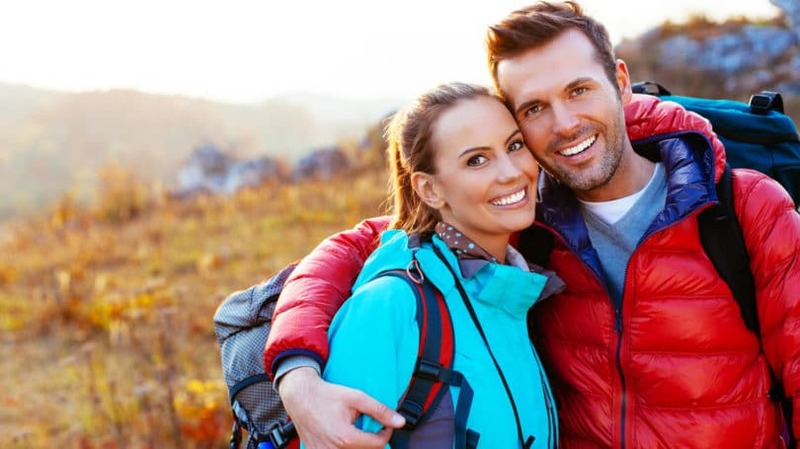 Instead of braving the crowds and blowing your budget, go with something that perfectly encompasses you and your partner as a couple, and you’re sure to have the best Valentine’s Day yet.